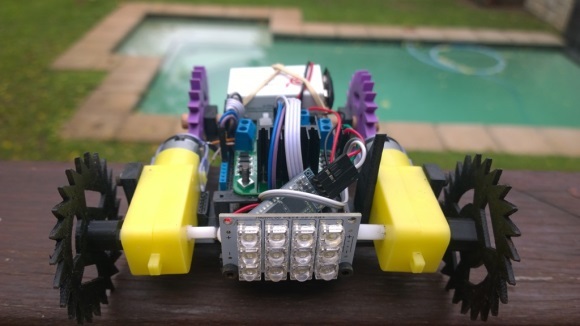 Matt Cavanagh, a Windows phone app developer from South Africa and the author of the Netduino Home Automation Projects book, built this Bluetooth controlled car using the Netduino board. He uses a Windows Phone to control the car over Bluetooth. The beauty of this project is that he 3-D printed the frame and wheels for the car. His next goal is to mount a second Windows Phone on the car and use Skype to stream the live video from the car. In our earlier tutorial, Writing to an SD Card, we learned to write to an SD card. As you might have experienced, in order to see what’s been written, we need to pop out the SD then connect it to a computer, which obviously is not very convenient all the time. So, in this tutorial we will read a text file (same file/information that we wrote in previous tutorial) and send that text to a computer. Our communication between Netduino SD card and Computer is established via Serial Communication using USB to UART-TTL device. So, the information will be transferred to a computer in a Component Object Model (COM) port. Expandable memory is always a plus no matter whether it’s a Phone, Camera or a Microcontroller. Even advantageous if we know how to use it. 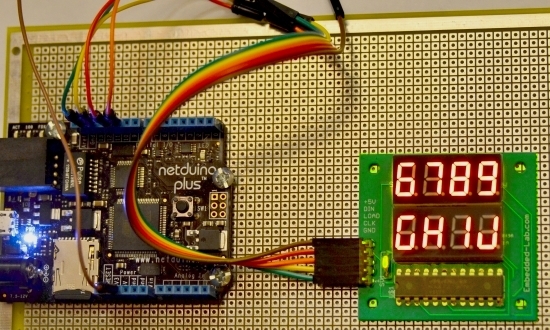 In this fifth day Netduino tutorial, we will learn a few writing operations about an SD card. We will learn how to write to a text file, shown as an example of writing a log. 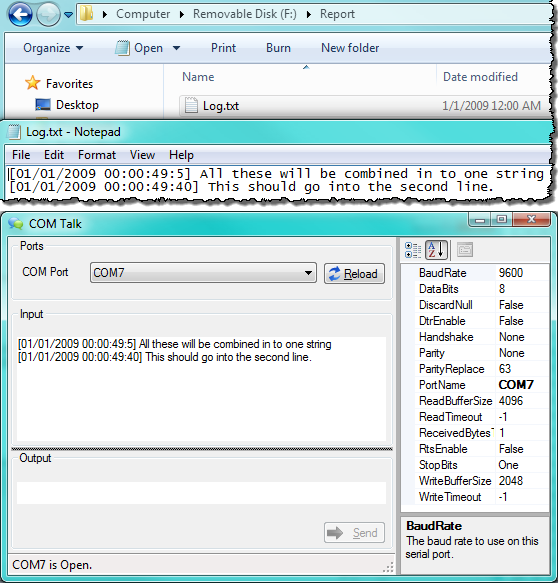 The Logger class is also capable of creating a text file at any given location then writing some text information to it. In Day 3 tutorial, we learnt basics of seven segment LED displays and discussed about a time-division multiplexing technique that reduces the number of required microcontroller I/O pins to drive multiple seven segment LED displays. 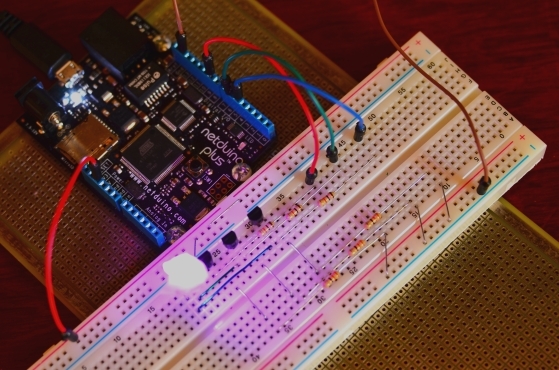 Today we will move a step further and discuss about a serial interface (SPI) for driving 8 seven segment LED displays. The technique uses MAXIM’s MAX7219 LED driver chip that allows you to control 8 (or more in cascade configuration) common-cathode seven segment LED displays with only 3 I/O pins of Netduino. For illustrative purpose, we will use our 8-digit serial seven segment LED (8DSSSLED) display module here. The benefit of using MAX7219 is, it will do all the hard work of multiplexing operation and let the microcontroller do more important jobs. 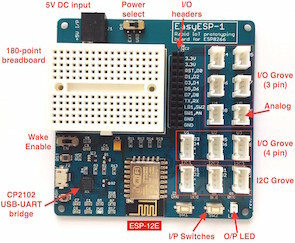 It supports SPI serial communication protocol.